Its different on the other side of the wall. 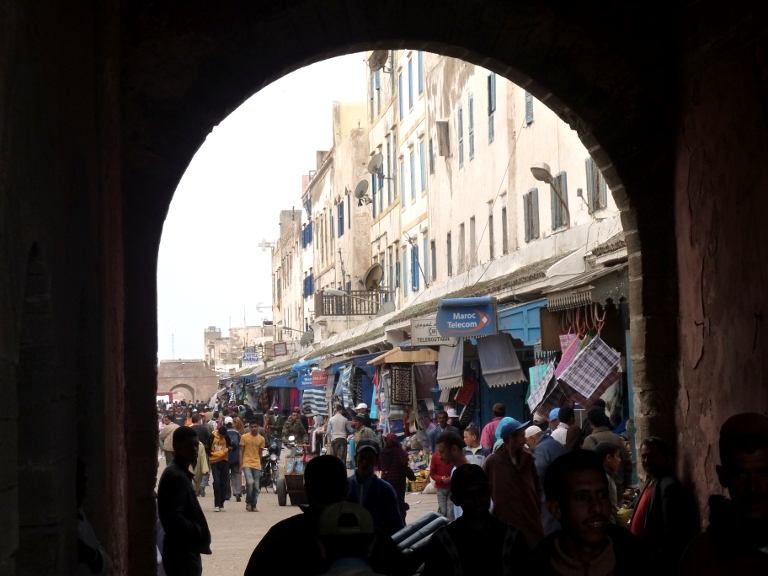 After Marrakesh our next stop was the Medina of Essaouira, another city surrounded by a wall. There is a very good bus trip to Essaouira from Marrakesh provided by SupraTours.. It is inexpensive and comfortable on a luxury tour bus. The Moroccan views going by the window keep you entertained. Essaouira is on the ocean so we expected to do some beach time. The city has a reputation to be a little more laid back than Marrakesh. We stayed in a Riad which is the Moroccan type of Bed and Breakfast. Click here for a Essaouira Photo slideshow.